1.2 billion people can’t be wrong! 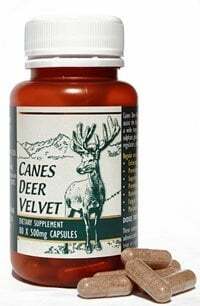 During its 2000 year history as a Traditional Chinese Medicine (TCM) Deer Velvet has frequently been prescribed before and during winter as an immune system booster and a tonic for stress and fatigue. An extensive research programme to research velvet’s effectiveness and provide scientific verification of traditional uses has been underway in New Zealand and around the world since the mid-seventies. In New Zealand more than 2.3 million dollars per year is invested in this research. Dr Jim Suttie and his team of scientists at AgResearch Invermay Research Centre are acknowledged as world leaders in velvet research. Dr Suttie’s research showed clear evidence of extracts of Deer Velvet helping to strengthen immune system defences, especially through the increase in the white blood cells, the body’s first line of defence against disease. When eight NZ antler extracts were evaluated they all had measurable immune effects. 1.2 billion Chinese can’t be wrong! This means that Deer Velvet offers support as an immune system booster and could help the body fight disease. Help yourself to a healthy immune system today! Check out this month’s special. Other studies have shown that Velvet antler promotes antibody production and stimulates the action of phagocytes, the cells that engulf and destroy bacteria thereby helping strengthen immune system. “I work long hours in the position of Chief Examiner for the NZ Snowboard Instructors Division and use Canes Deer Velvet to help me stay healthy, focused and revitalised. I travel a lot within New Zealand and the United States and like to travel relatively light. Deer Velvet has so many benefits I don’t need to take a lot of other supplements with me to keep my energy levels up.